Please join Vinodh Krishnaswamy as he presents his talk, "Percona Server for MongoDB 4.0 Feature Walkthrough" on January 31st, 2019, at 6:00 AM PST (UTC-8) / 9:00 AM EST (UTC-5). 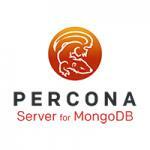 Percona Server for MongoDB is an enhanced, open source, and highly-scalable database. Moreover, it is a fully-compatible, drop-in replacement for MongoDB 4.0 Community Edition. It also supports MongoDB 4.0 protocols and drivers. Percona Server for MongoDB extends the functionality of the MongoDB 4.0 Community Edition by including the Percona Memory Engine storage engine, encrypted WiredTiger storage engine, audit logging, SASL authentication, hot backups, and enhanced query profiling. Additionally, Percona Server for MongoDB requires no changes to MongoDB applications or code. Vinodh Krishnaswamy is a member of Support Team! Prior to joining Percona, he worked as a MySQL and MongoDB DBA in companies such as iGate, Datavail, and Sify Ltd. He is a trainer and has provided training programs on MySQL and MongoDB. He enjoys writing Shell script and loves driving, reading books, and playing table tennis.